The Skills for the Future programme is a Heritage Lottery Fund supported scheme, to provide work based training opportunities for people wanting to work in the heritage sector. Wildwood Trust has positions available for four Trainee Officers to work directly with our natural heritage conservation, education, maintenance and keeper teams and learn skills to prepare them for a career working to protect and promote our natural heritage and environment. These roles will suit fit, practical people who are able to work outdoors during all weathers to support the continued growth and development of Wildwood's work. This includes our educational work with children and disadvantaged social groups wishing to learn about our natural heritage and its future conservation, and our conservation work with British species and Wildwood's ancient woodland. The training period is advertised as 37 hrs a week, for 51 weeks only. Trainees will receive a training bursary of £10,000, paid in monthly instalments. Please note that accommodation and travel costs are not included. Learn how to enter data collected on animal sightings and field surveys, and how to complete the animal management records and work diaries. Learn how to keep the Wildwood grounds and facilities in excellent working order, ensuring the minimum of disruption to visitors and staff. You will be required to support your line manager to ensure that you follow Wildwood's Health and Safety arrangements. Learn how to care for our collection of British native & once native wildlife, including caring for and managing a range of UK species, ensuring the animal's welfare comes first, recognition of tracks and signs, animal diet, handling and care, and practical skills for enclosure enrichment. Learn to help educate the public through talks and demonstrations about our animals, including developing strong communication skills and confidence in working with groups and the public. Learn how to complete the animal management records and work diaries. 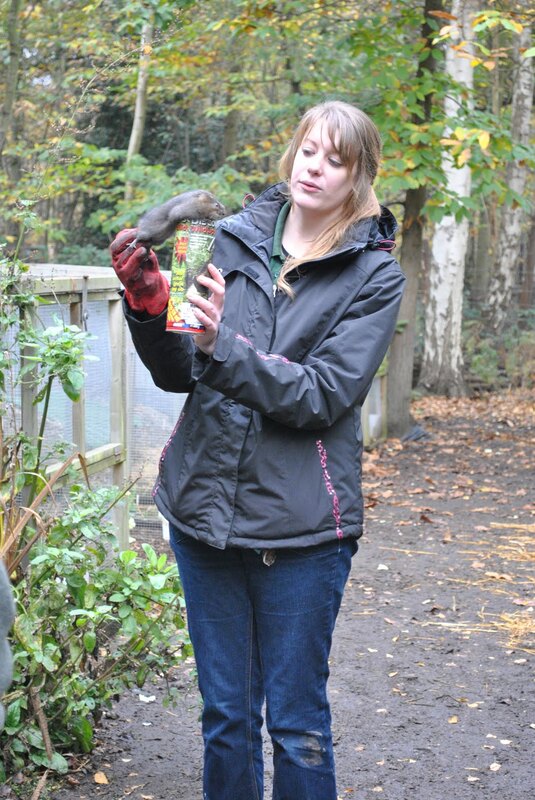 We are looking for a friendly, organised person to act as Café supervisor in Wildwood's busy Beaver Lodge café. The café is an attractive log cabin style building situated at the heart of wildwood with an 80 seat café and veranda. It has a large kiosk and about 20 picnic tables attractively scattered around woodland and overlooking the adventure playground. As a shift supervisor in the Beaver Lodge Cafe, you will be expected to take charge of quiet shifts in the management team's absence. Experience in catering is essential. Training or supervisory skills would be distinct advantage. Training will be provided in respect to the Café's operation. The post is subject to a 3 month probationary period. Wildwood is now inviting new applications for our 2012/13 Skills for the Future training programme. After two hugely successful years which have seen trainees go on to start careers in wildlife, zoos and conservation we are ready to recruit our next batch of trainees to learn wildlife and conservation skills. 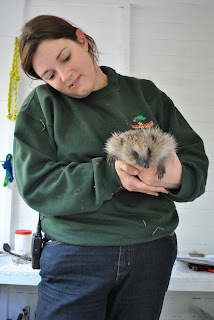 Tess Kingham, Wildwood's Fundraising Manager said "It's so exciting to be able to give people a chance to train in wildlife and conservation. In the current economic climate it can be difficult for people to get hands-on work experience, but thanks to the Heritage Lottery Fund we can offer vital work experience and training for people to take on to their future careers"
The 3-year project is funded by a £150,000 grant by the Heritage Lottery fund under their Skills for the Future programme. The grant is funding the training of four trainees per year, over a period of three years, with each trainee receiving a training bursary of £10,000 for the year they train with us. 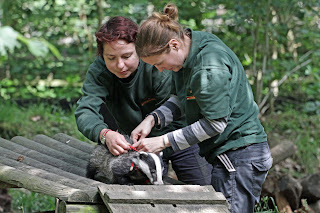 The scheme is great for zoos, wildlife trusts and conservation organisations such as The Wildwood Trust which require a wide range of skills from staff, from providing public education workshops to managing woodland and conservation areas and supporting endangered species captive breeding programmes. These skills are hard to obtain without on-the-job training, so the Skills for the Future programme has been developed to offer specialised training places. After this final year, Wildwood will have provided training for three trainee rangers, three trainee keepers, three conservation trainees, and three trainee education officers. The project will allow Wildwood to train new people in wildlife and conservation skills which will provide a sustainable, representative workforce to protect the UK's native animals and habitats from further decline. On completion of their training the trainees will be able to take their skills on to further education or into employment. Ranger trainees will learn coppicing and coppice management, woodland management, dead hedging, arboriculture, endangered species enclosure design and construction. Conservation trainees will learn about conservation initiatives including endangered species release programmes, conservation grazing management, handling small animals and engaging the public in species recognition. Keeper Trainees will learn endangered species enclosure design, animal enrichment, food preparation, diet and weight analysis, and animal husbandry. Conservation Education trainees will learn how to develop and deliver workshops targeted at visiting schools and groups, and will develop skills including preparing educational resources, setting and monitoring traps, species recognition, and how to handle small animals for workshops. The posts are for one year only and are aimed at those interested in following a career in conservation. The successful candidates will be expected to complete a portfolio of evidence of the skills they have learned. The training will provide the groundwork and experience required for those considering either further academic training (e.g. a conservation degree, or diploma) or developing their career by joining a zoo, wildlife trust or other conservation organisation. The Heritage Lottery Funds' (HLF) Skills for the Future programme offers work-based training in a wide range of skills that are needed to look after buildings, landscapes, habitats, species, and museum and archive collections, as well as equipping people to lead education and outreach programmes, manage volunteers and use new technology. Its focus is on vocational learning, helping meet the skills gaps identified by heritage bodies, and on encouraging potential trainees from all walks of life. Trainees will learn how to engage families, schools and communities with their heritage, bringing heritage sites and collections alive for the next generation. § demonstrate the value of heritage skills to modern life. § increase the diversity of the heritage workforce.